Nurturing the Hoop of Life is a Lakota-style hoop dance performed with 24 hoops by Dallas Chief Eagle Jr. 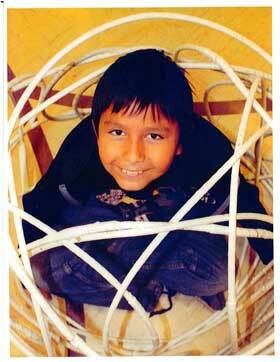 M.A., C.G.P.S., Rosebud Sioux Tribal Member, World Hoop Dance Champion, Storyteller, Touring Artist and Co-Founder of All Nations Gathering Center where he teaches hoop dancing and cultural activities on the Pine Ridge Reservation. His hoop dance and storytelling performance invites audiences young and old to experience the heart and soul of his life works. A performance workshop is available to teach volunteer participants to join him in the school or public performance. Additional hoop dancers and singers/ drum group can become available upon request. Technical Requirements: Minimum 32’ x 6’ stage/dance area, P.A. system and C.D. player.